Leading Manufacturer of ruby blouse from Mumbai. With the aid of hi-tech advancements, we are instrumental in presenting high-quality Ruby Blouse. 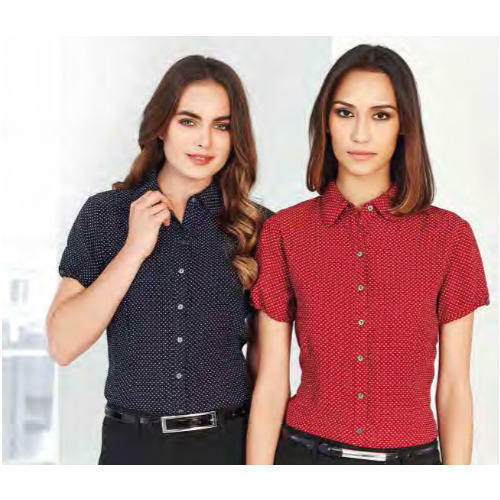 Designed to add confidence to the looks of working women, the smart blouses are becoming widely popular for its cost effectiveness. The easy to care blouses are made from skin soothing material and the strength of stitches and buttons make these blouses more favorable for all working women.